MEDIA ROOTS — Residents in the Carroll Boone Water District (CBWD) of Arkansas might soon have fluoride removed from their water supply. According to Rene Fonseca, a licensed operator with CBWD, the corrosive additive has been proven to leach lead from aging distribution pipes which is likely causing increased lead contamination in the region’s water supply. Several other areas in the state of Arkansas have also opposed adding fluoride to their water. Lobbyists from the fluoridation industry claim that CBWB taxpayers would not be strapped with the $1.23 million cost to install fluoridation equipment. 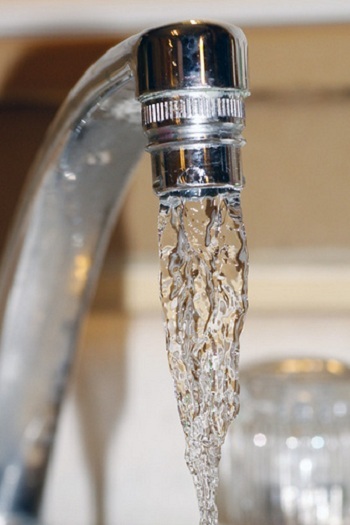 But the Mockingbird Hill Water Association in Boone County unanimously opposed adding fluoride to its water supply, stating that they don’t want to take any chances amidst the current economic hardship. Last year, in the Southern District Court of California, a lawsuit was filed asserting the U.S. people have the right to neither ingest nor be exposed to a drug that has never been tested or approved by the Food and Drug Administration. While the Surgeon General claims that the additive helps reduce tooth decay, only the FDA is chartered by Congress with the authority to approve claims of safety for products intended to treat and prevent disease. Carroll County News — Eureka Springs has twice voted against fluoridation. Opponents of fluoridation say many other cities across the country have stopped fluoridating waters after studies have linked it to hypothyroidism, heart disease, learning problems in children and possibly cancer. There are also concerns the fluoride products added to the water could be contaminated with toxic chemicals. The CBWD, which serves a population of about 25,000, contacted 49 suppliers of fluoride asking for proper American National Standards Institute (ANSI) and NFS60 certification that would list all contaminants by weight, and include information about toxicological studies pertaining to those contaminants. “These are extremely dangerous substances,” Fonseca said. “The acute lethal toxicity of sodium fluorosilicate for an adult man is 6.2 grams, which is about the weight of an average driver’s license. At a water plant the size of CBWD, you would be dumping 150 pounds a day into the water — enough oral doses to poison 9,600 men a day or 297,000 men a month. This is not pharmaceutical grade fluoride, as you would receive in the dental office. Read more about the fight for fluoride-free water in Arkansas. Read the truth produced in the best scientific information on fluoridation here: (www.fluoridealert.org). You will see a petition signed by over 4000 professionals, including hundreds of dentists, hundreds of doctors, and other medical researchers calling on governments everywhere to stop fluoridation. There are many large scientific studies there to show that drinking fluoridated water has no positive effect on cavity reduction and to show that it causes cancer, thyroid damage, broken hips from brittle bones, lowered IQ and other health problems. The World Health Organization studied 16 countries and showed fluoride is of no value for teeth. Most countries like China, India, and Japan has rejected it. Europe has rejected it and is 98% fluoride free. Many other large scientific studies in several countries show the same ineffectiveness.